You might have heard about the new kid around the block: GraphQL. If not, GraphQL is, in a word, a new way to fetch APIs, an alternative to REST. It started as an internal project at Facebook, and since it was open sourced, it has gained a lot of traction. The aim of this article is to help you make an easy transition from REST to GraphQL, whether you’ve already made your mind for GraphQL or you’re just willing to give it a try. No prior knowledge of GraphQL is needed, but some familiarity with REST APIs is required to understand the article. The first part of the article will start by giving three reasons why I personally think GraphQL is superior to REST. The second part is a tutorial on how to add a GraphQL endpoint on your back-end. Graphql vs. REST: Why Drop REST? 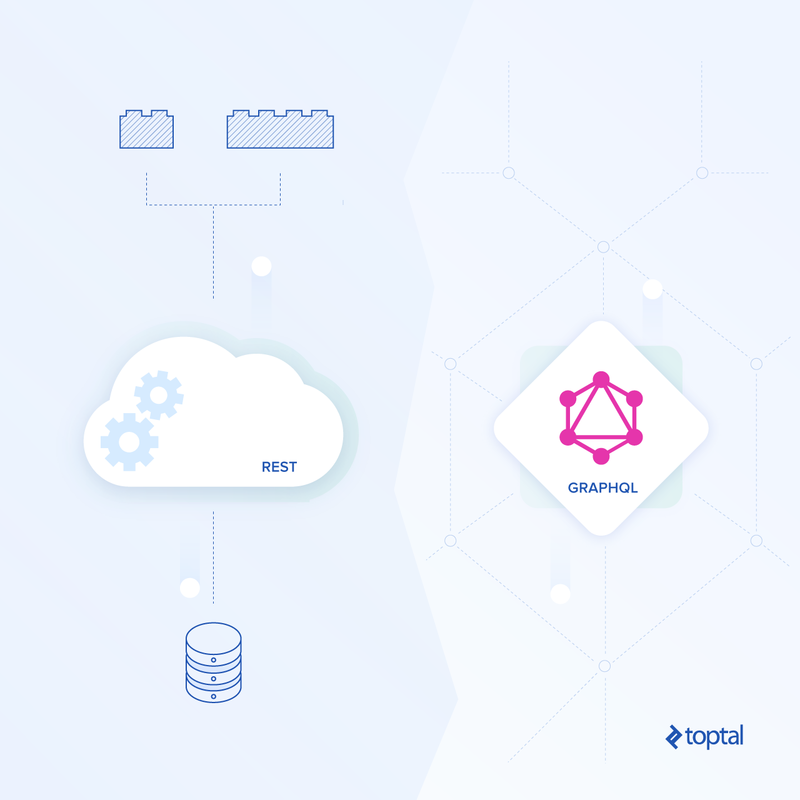 If you are still hesitating on whether or not GraphQL is suited for your needs, a quite extensive and objective overview of “REST vs. GraphQL” is given here. However, for my top three reasons to use GraphQL, read on. Say you have a user resource on the back-end with first name, last name, email, and 10 other fields. On the client, you generally only need a couple of those. Making a REST call on the /users endpoint gives you back all the fields of the user, and the client only uses the ones it needs. There is clearly some data transfer waste, which might be a consideration on mobile clients. GraphQL by default fetches the smallest data possible. If you only need first and last names of your users, you specify that in your query. The interface below is called GraphiQL, which is like an API explorer for GraphQL. I created a small project for the purpose of this article. The code is hosted on GitHub, and we’ll dive into it in the second part. On the left pane of the interface is the query. Here, we are fetching all the users—we would do GET /users with REST—and only getting their first and last names. If we wanted to get the emails as well, adding an “email” line below “lastname” would do the trick. These query parameters are patches added to the REST API to imitate a query language. GraphQL is above all a query language, which makes requests concise and precise from the beginning. The endpoints are simple, easily readable, and well-organized. GET /users/:id/projects for the home page. GET /users/:id/projects?include=tasks (for example) on the dashboard page so that the back-end appends all related tasks. It’s common practice to add query parameters ?include=... to make this work, and is even recommended by the JSON API specification. Query parameters like ?include=tasks are still readable, but before long, we will end up with ?include=tasks,tasks.owner,tasks.comments,tasks.comments.author. In this case, would be it wiser to create a /projects endpoint to do this? Something like /projects?userId=:id&include=tasks, as we would have one level of relationship less to include? Or, actually, a /tasks?userId=:id endpoint might work too. This can be a difficult design choice, even more complicated if we have a many-to-many relationship. GraphQL uses the include approach everywhere. This makes the syntax to fetch relationships powerful and consistent. Here’s an example of fetching all projects and tasks from the user with id 1. As you can see, the query syntax is easily readable. If we wanted to go deeper and include tasks, comments, pictures, and authors, we wouldn’t think twice about how to organize our API. GraphQL makes it easy to fetch complex objects. When building a back-end, we always start by trying to make the API as widely usable by all clients as possible. Yet clients always want to call less and fetch more. With deep includes, partial resources, and filtering, requests made by web and mobile clients may differ a lot one from another. With REST, there are a couple of solutions. We can create a custom endpoint (i.e., an alias endpoint, e.g., /mobile_user), a custom representation (Content-Type: application/vnd.rest-app-example.com+v1+mobile+json), or even a client-specific API (like Netflix once did). All three of them require extra effort from the back-end development team. GraphQL gives more power to the client. If the client needs complex requests, it will build the corresponding queries itself. Each client can consume the same API differently. In most debates about “GraphQL vs. REST” today, people think that they must choose either one of the two. This is simply not true. Modern applications generally use several different services, which expose several APIs. We could actually think of GraphQL as a gateway or a wrapper to all these services. All clients would hit the GraphQL endpoint, and this endpoint would hit the database layer, an external service like ElasticSearch or Sendgrid, or other REST endpoints. A second way of using both is to have a separate /graphql endpoint on your REST API. This is especially useful if you already have numerous clients hitting your REST API, but you want to try GraphQL without compromising the existing infrastructure. And this is the solution we are exploring today. As said earlier, I will illustrate this tutorial with a small example project, available on GitHub. It is a simplified project management tool, with users, projects, and tasks. The technologies used for this project are Node.js and Express for the web server, SQLite as the relational database, and Sequelize as an ORM. 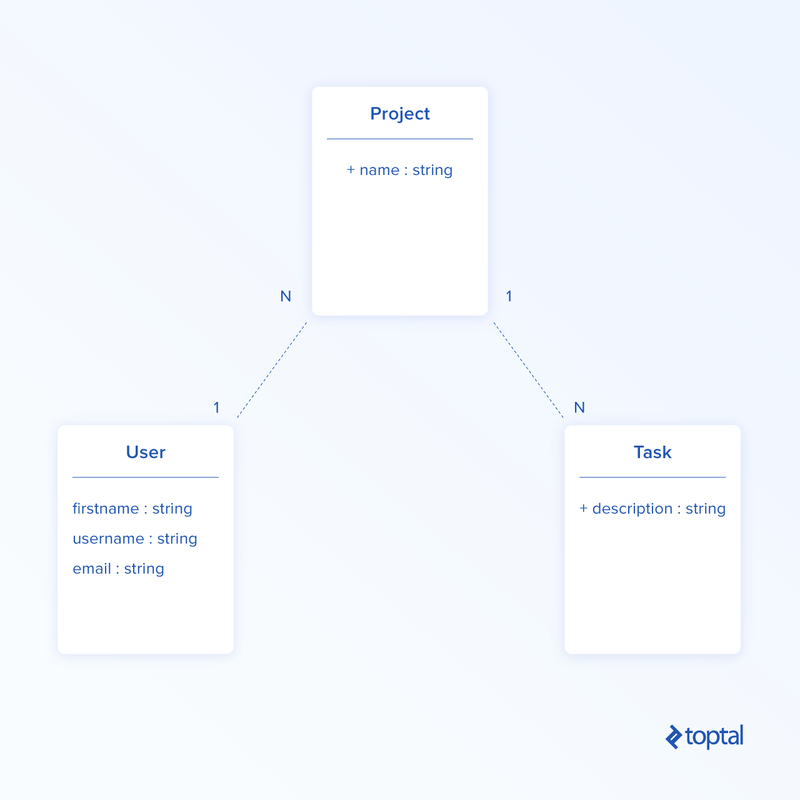 The three models—user, project, and task—are defined in the models folder. The REST endpoints /api/users, /api/projects and /api/tasks are exposed to the world, and are defined in the rest folder. Do note that GraphQL can be installed on any type of back-end and database, using any programming language. The technologies used here are chosen for the sake of simplicity and readability. Our goal is to create a /graphql endpoint without removing the REST endpoints. The GraphQL endpoint will hit the database ORM directly to fetch data, so that it is totally independant from the REST logic. If queries are GET requests, mutations can be seen as POST/PATCH/PUT/DELETE requests (although really they are synchronized versions of queries). This schema is strongly typed and is what allowed us to have those handy autocompletes in GraphiQL. This means, if the user(id: ID!) query is requested on GraphQL, then we return User.findById(), which is a Sequelize ORM function, from the database. So when we request the projects field in a User type in GraphQL, this join will be appended to the database query. You can play around with this here. For the sake of keeping the data on the server clean, I disabled the resolvers for mutations, which means that the mutations will not do any create, update or delete operations in the database (and thus return null on the interface). It may take some time to rewrite all types, queries, and resolvers for your existing app. However, a lot of tools exist to help you. For instance, there are tools that translate a SQL schema to a GraphQL schema, including resolvers! And we can have a nice-looking GraphiQL interface on our back-end. To make a request without GraphiQL, simply copy the URL of the request, and run it with cURL, AJAX, or directly in the browser. Of course, there are some GraphQL clients to help you build these queries. See below for some examples. This article’s aim is to give you a taste of what GraphQL looks like and show you that it’s definitely possible to try GraphQL without throwing away your REST infrastructure. The best way to know if GraphQL suits your needs is to try it yourself. I hope that this article will make you take the dive. There are a lot of features we haven’t discussed about in this article, such as real-time updates, server-side batching, authentication, authorization, client-side caching, file uploading, etc. 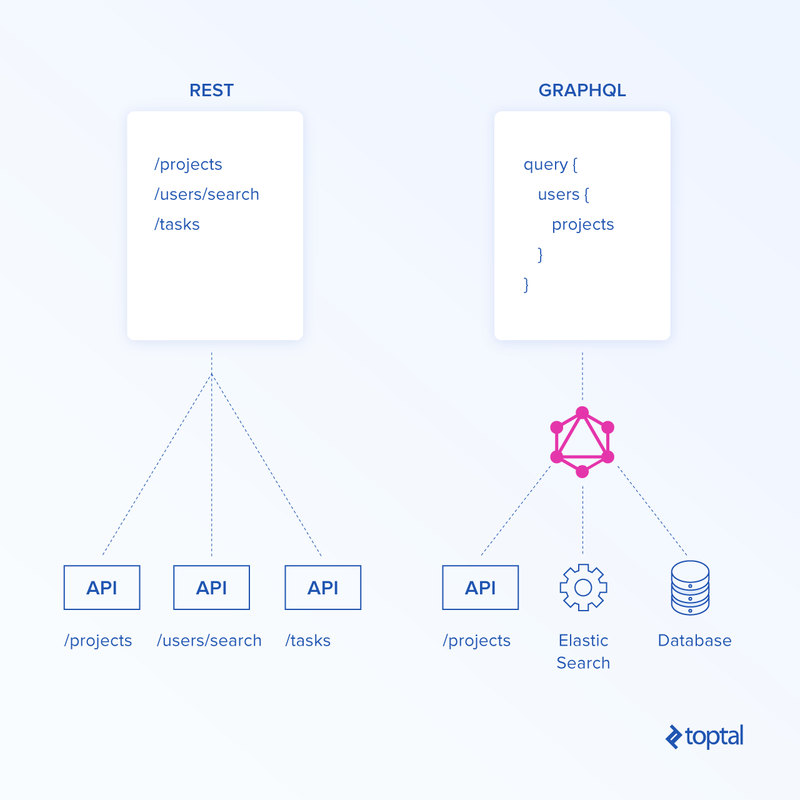 An excellent resource to learn about these features is How to GraphQL. In conclusion, I believe that GraphQL is more than hype. It won’t replace REST tomorrow just yet, but it does offer a performant solution to a genuine problem. It is relatively new, and best practices are still developing, but it is definitely a technology that we will hear about in the next couple of years. GraphQL is a query language and an alternative to REST. It started as an internal project at Facebook. What is different in GraphQL over REST? GraphQL merges all your RESTful endpoints into one and uses less network traffic.